I’ve had to take a little hiatus from my Shakespeare project, but I intend to return to my discussion of Love’s Labour’s Lost when I can. 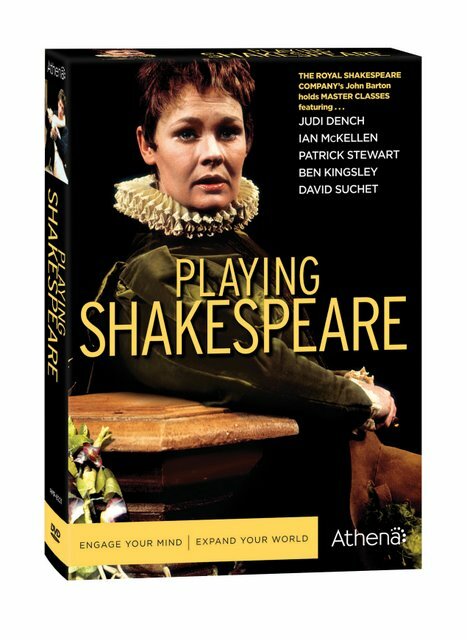 In the meantime, I have recently been enjoying a 1984 British TV series called Playing Shakespeare featuring founding director of the Royal Shakespeare Company, John Barton, and an array of RSC actors including Ian McKellan, Patrick Stewart, Ben Kingsley, and Judi Dench. So, it is with great interest that I approach this TV series where a great Shakespearean director discusses the challenges and nuances of bringing Shakespeare’s text to life for modern audiences. The actors discuss their viewpoints on various issues and then demonstrate scenes using rehearsal props. It is amazing. It is such a different viewpoint and I am really mesmerized by it. I have only watched three of the 9 episodes so far. The first episode examines the need to marry the Elizabethan acting tradition to the modern acting tradition, acknowledging everything in between. The second episode focuses on Shakespeare’s use of blank verse as a means of helping the actors learn their lines and present them correctly. This was an amazing episode to me, as I had never thought about this purpose for the verse, but the actors were all in agreement that the verse helps them immensely when they go with it and let the rhythms lead the way. The third episode on language and character focuses on different ways of portraying Shylock and it blew me away even more than the other episodes I’ve seen. Here, actors Patrick Stewart and David Suchet, who both portrayed Shylock in RSC productions under John Barton’s direction, demonstrate their takes on various scenes from The Merchant of Venice. They are so completely different, yet Barton points out that both work with the text and that every actor brings his or her own personality and proclivities to each role. Amazing to watch. I’m looking forward to the rest of the series. John Barton is absolutely amazing to listen to. He obviously has lived and breathed these plays for many years. The remaining episodes include Set Speeches and Soliloquy, Irony and Ambiguity, Passion and Coolness, Rehearsing the Text, Exploring a Character, and Poetry and Hidden Poetry. The series is available on Netflix and I highly recommend it!